Bollywood CineTalk: January & February for Hollywood and Bollywood! January & February for Hollywood and Bollywood! Raaz The Mystery Continues (2009 - Semi Hit). Note: The releases & their box office performances from 2009 till 2014 are considered. South Indian films are not considered since January has Sankranti/Pongal holiday which is one of the biggest holidays for South India. So, to give a picture of the worldwide scenario, the only EVENT film that released in Hollywood from past 6 years is Hensel & Gretel: Witch Hunters which went onto earn around $225million & The Green Hornet which did $227million against a $120million resulting in not earning notable profits to the makers. Other than that none of the others have achieved anything closer to that. The maximum budget was that of The Green Hornet (2011) which was $120 million followed by The Book of Eli (2010) which was $80million & Hotel for Dogs, The Dilemma which had a $70million budget. The big success have come from low budget films less than $15million for example, Mama, My Bloody Valentine 3D & then there're films with budgets $35million-$40million like Paul Blart: Mall Cop, Taken etc.. which have found success. So far 103 film have released from 2009-2014 in the month of January with highest grosser being The Green Hornet with $227million, Taken with $226million & Hansel & Gretel: Witch Hunters $225million. Coming to Bollywood, so far 51 films have been released since 2009 in the month of January. The highest grosser as of now is Agneepath with a superhit status. This is the current scenario not just in India but worldwide. There has always been audience drought for the first 2 months, with January being the first month to face it & the scenario getting worse for February releases. 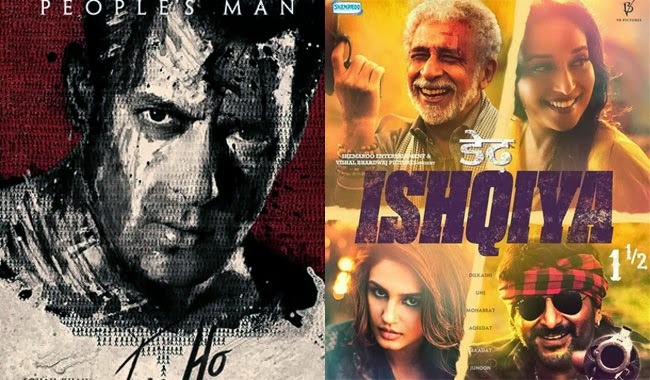 That's why more than the big films, the small-medium budgetted films which have started to earn, previously it was Raaz 2, Ishqiya, No One Killed Jessica but last year, the month February performed better giving hopes for this year February releases. It was indeed not an easy task for Agneepath to put up that total in 2012. Race 2 failed to touch the 100cr mark. Now, Jai Ho has just started it's run, so it has to be seen where it ends & the fact that every other January releases will be trying to cross the collections of Jai Ho & Agneepath in the future. As far as February releases go, should wait & see how Gunday performs. If that were to underperform then the makers would hesistate to release their films in that month, a scenario which was created after My Name Is Khan's performance in 2010. Hollywood has never found bigger audience for January films for 6 long years. Bollywood biggies like Veer, Race 2, Chandni Chowk To China struggled in the month of Janauary. It's just have to wait to be seen if the scenario changes in the future. Will Jai Ho sustain & give that hope to other filmmakers or take that hope away making January & February as no superstar month making way to all other smaller films.